The Delhi Police filed a status report on its probe into the death of twin babies at Shalimar Bagh Max hospital before a court, which has directed that the investigation be conducted expeditiously. 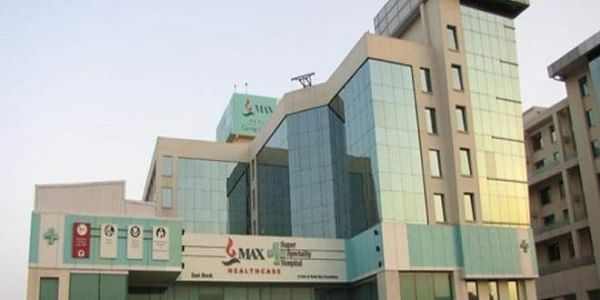 NEW DELHI: The Delhi Police today filed a status report on its probe into the death of twin babies at Shalimar Bagh Max hospital before a court here, which has directed that the investigation be conducted expeditiously. "Status report filed. Taken on record. Investigating Officer (IO) states that they are awaiting report from Delhi Medical Council (DMC) and they have already recorded statements of concerned persons. He further states he has given request letter and reminder to DMC to file their report at the earliest. "Considering the facts of the case, IO shall investigate the matter from all angles and shall do the same expeditously," Chief Metropolitan Magistrate Rajesh Malik said. During investigation, police claimed to have found that in the death register of the hospital, only the time of birth of the two infants was mentioned but not the time of their death, despite both being handed over in two separate tightly wrapped packages. The police said a copy of the FIR has been sent to the DMC for expert opinion and their report is awaited. It said the post-mortem has been conducted and the final report regarding cause of death would be ascertained after getting a final opinion from the histopathology department of Safadarjung Hospital here. The IO told the court that they have already recorded the statement of concerned persons, following which the matter was listed for February 26. On December 24, Ashish Kumar, the father of the twins, one of whom was wrongly declared dead by the hospital, had sought a court-monitored probe into the matter, alleging that the ongoing "tainted" investigation may harm the prosecution case. In his plea, Kumar had urged that the station house officer concerned be directed to share details of the progress made in the investigation. A baby boy and his twin sister, prematurely born at the hospital on November 30, were declared still-born by the hospital doctors. But when the parents were on their way to the crematorium, they found the boy was still alive and rushed him to another hospital. He died later at a private nursing home. The applicant has alleged that there was a delay of 20 hours in lodging the FIR in the matter. "We have also sought a CBI probe in the matter," counsel for Kumar said. The plea has sought directions to the police to explain why the statements of the family members of the complainant (the father) have not been recorded by the police. It said the hospital did not provide proper care and treatment, which had resulted in the death of the two infants. The hospital's licence was cancelled by the Delhi government on December 8, following an uproar over the incident. But the hospital resumed its operations 10 days later after it got relief from an appellate authority which stayed the Delhi government's order.